Below you fill find all funeral homes and cemeteries in or near Royal Oak. Royal Oak is also known as: Oakland County / Royal Oak city. Their current mayor is Mayor Jim Ellison. Zip codes in the city: 48067, 48068, 48073. Some of the notable people born here have been: Chris Demetral (actor), Sam Raimi (screenwriter and film director), Jason Grilli (baseball player), Kirk Ferentz (american football player and american football coach), Ken Dallafior (american football player), Sarah Masen (songwriter and multi-instrumentalist), and Peter Vanderkaay (swimmer). It was disclosed by The Daily Tribune on March 27th, 2019 that Keith Major perished in Royal Oak, Michigan. Major was 90 years old. Send flowers to express your sorrow and honor Keith's life. It was noted by The Daily Tribune on March 21st, 2019 that Dorothy Truswell (James) passed on in Royal Oak, Michigan. Ms. Truswell was 100 years old. Send flowers to share your condolences and honor Dorothy's life. It was noted by The Daily Tribune on March 10th, 2019 that Gerald McCormick passed on in Royal Oak, Michigan. McCormick was 55 years old. Send flowers to share your condolences and honor Gerald's life. It was revealed by The Daily Tribune on February 24th, 2019 that Raymond F "Ray" Carroll perished in Royal Oak, Michigan. Carroll was 90 years old. Send flowers to share your condolences and honor Raymond F "Ray"'s life. It was disclosed by The Daily Tribune on February 14th, 2019 that Edward Lee Herman died in Royal Oak, Michigan. Herman was 87 years old. Send flowers to express your sympathy and honor Edward Lee's life. It was reported by The Daily Tribune on February 3rd, 2019 that Adeline Haglund (Rossiter) perished in Royal Oak, Michigan. Ms. Haglund was 88 years old. Send flowers to share your condolences and honor Adeline's life. It was revealed by The Daily Tribune on January 31st, 2019 that Monica Evelyn "Mona" Gibson (Lebrun) died in Royal Oak, Michigan. Ms. Gibson was 80 years old and was born in Berwick, . Send flowers to share your condolences and honor Monica Evelyn "Mona"'s life. It was written on January 26th, 2019 that Marjorie Ilene Rupp (Kellogg) passed away in Fort Meyers, Florida. Ms. Rupp was 94 years old and was born in Royal Oak, MI. Send flowers to express your sympathy and honor Marjorie Ilene's life. It was reported by The Daily Tribune on January 3rd, 2019 that Gary William Lipovsky passed on in Royal Oak, Michigan. Lipovsky was 76 years old. Send flowers to express your sympathy and honor Gary William's life. It was noted by The Daily Tribune on January 3rd, 2019 that Vera Miller (Brady) died in Royal Oak, Michigan. Ms. Miller was 97 years old. Send flowers to express your sympathy and honor Vera's life. It should not be confused with Royal Oak Charter Township, Michigan Oak Charter Township, a separate community located nearby. It is the 5th largest city in Oakland County, Michigan County and the 18th largest city in the US state of Michigan. Royal Oak is a city in Oakland County, Michigan County of the US state of Michigan. 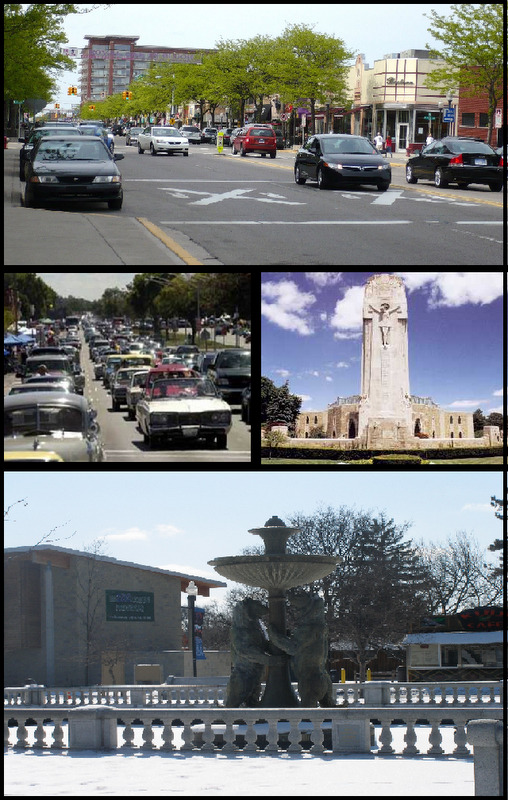 The images pictured at right are (from top, clockwise) downtown Royal Oak looking north towards 11 Mile road system Road, the National Shrine of the Little Flower church, the Rackham Memorial Fountain at the Detroit Zoo, and the Woodward Dream Cruise. It is a suburb of Detroit, Michigan As of the United States 2000 Census census, the city had a total population of 60,062. The official website for the city of Royal Oak is https://www.romi.gov/. Jon is a native of Michigan, who was born in Royal Oak. He attended The University of Michigan ... was in London for the royal funeral of the Queen Mother, and the nuptial celebration of H.R.H. Prince Charles and Camilla, Duchess of Cornwall. Contains general information including services, pre-arrangement, merchandise and grief resources. Listing all funeral homes in Royal Oak, Michigan so you can easily send flowers to any location (same day delivery) or find any funeral service. Find a Funeral Home inRoyal Oak, Michigan MI to provide the caring burial and ceremonial services your family deserves. We work with local florists and flower shops to offer same day delivery. You will find budget sympathy flowers in Royal Oak here. Our funeral flowers are cheap in price but not in value.